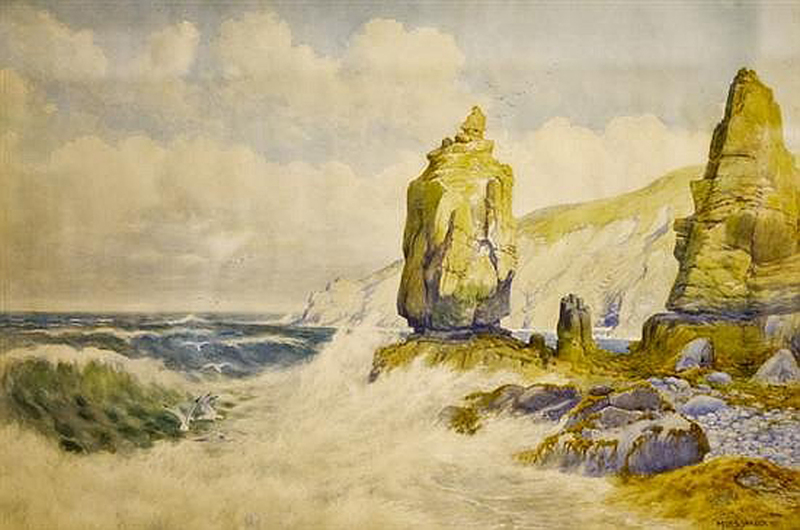 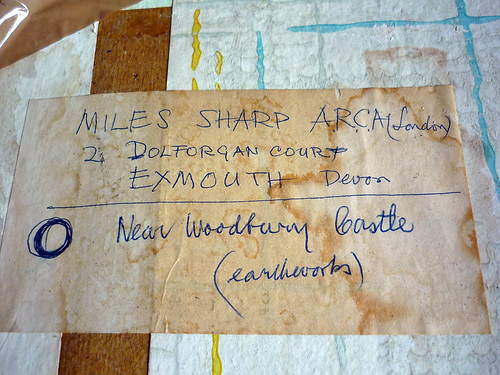 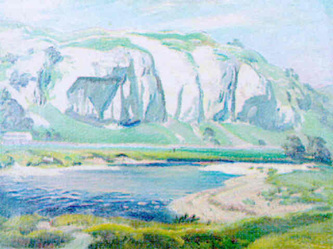 Miles Bamford Sharp was a landscape artist. 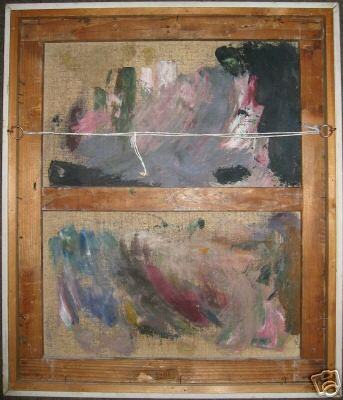 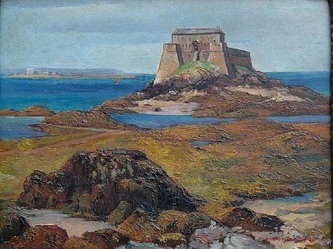 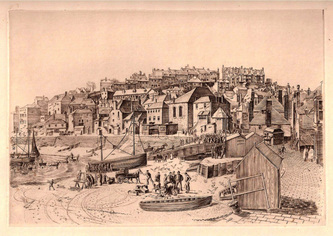 He worked with oil, watercolours, and also made line engravings. 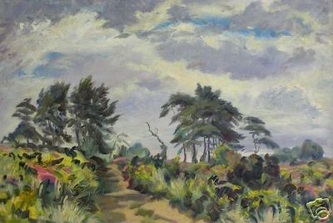 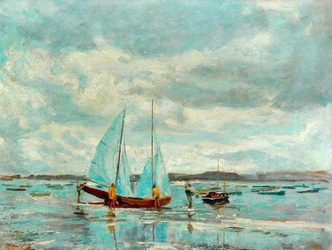 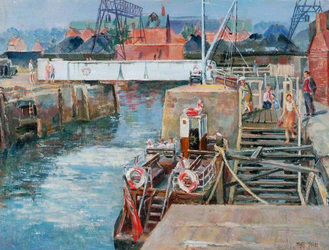 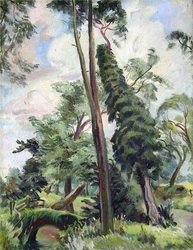 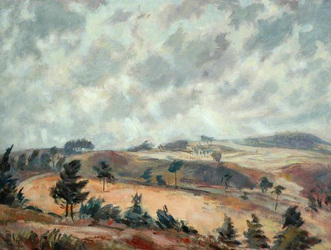 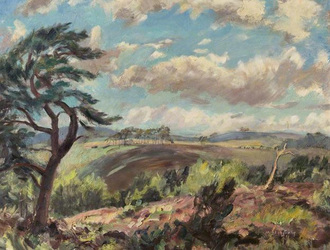 Much of his work has been exhibited at the Royal Academy. 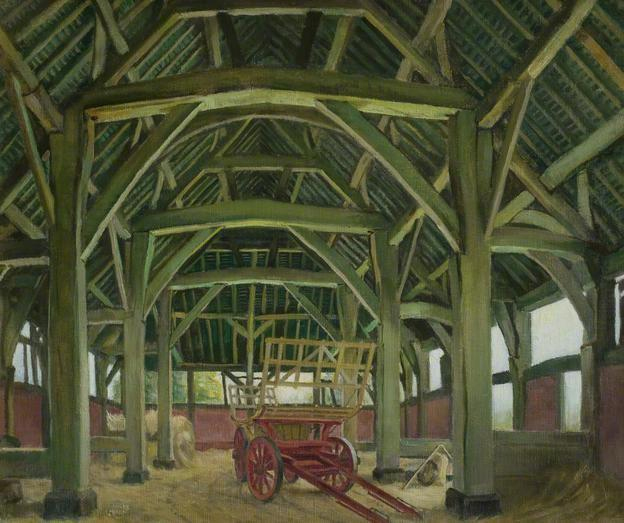 He also exhibited at RBA, RI, ROI, RBSA and had a number of one-man shows, including at Foyles Gallery. Miles was born at Brighouse, Yorkshire in 1897. 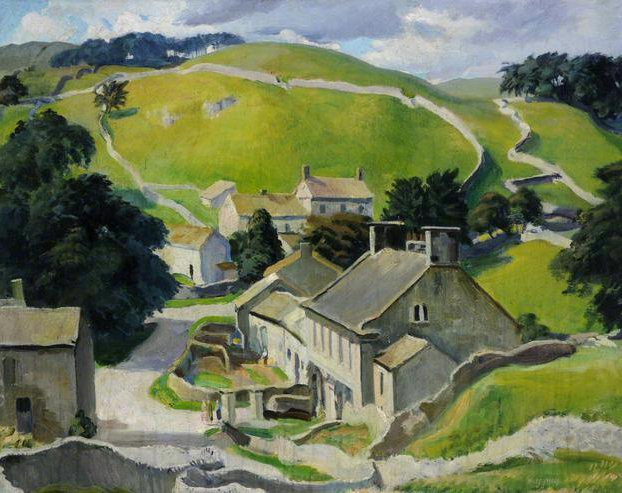 He studied for eight years at the Bradford and Leeds Schools of Art then moved on to the Royal College of Art where he gained his Diploma. He also studied at the Central School of Arts and Crafts. 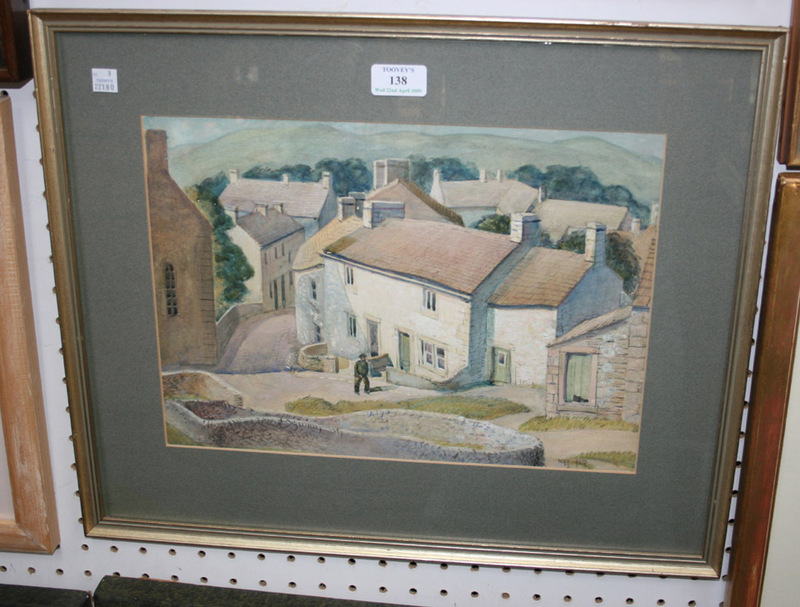 After finishing his studies he returned to Brighouse to become Head Draughtsman at Barraclough Brothers. In 1925 Miles Sharp moved to Nuneaton to become Art Master of the newly formed Nuneaton Art School based in the Nuneaton Museum & Art Gallery. 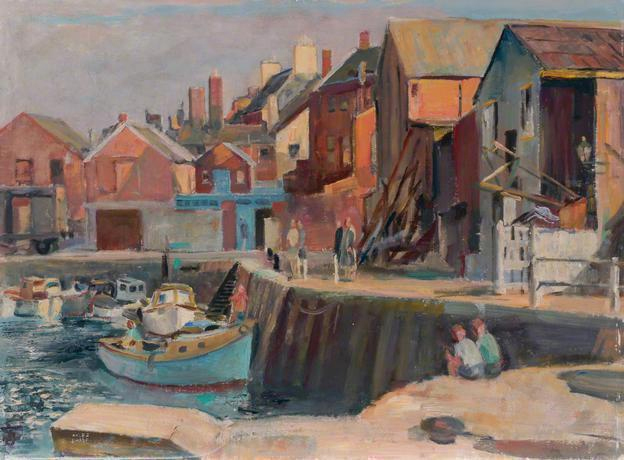 The Art School flourished under his leadership, growing from 120 students, to 600-800 by the time he retired in 1952. 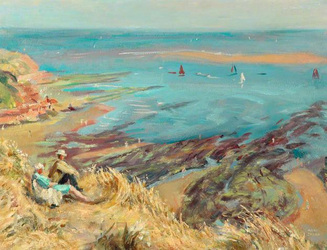 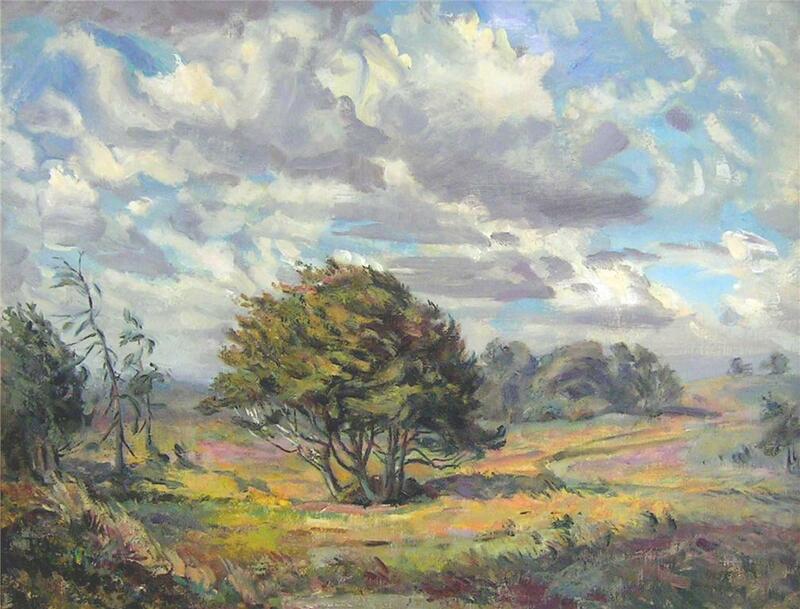 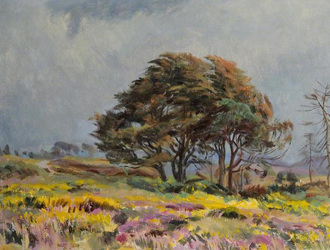 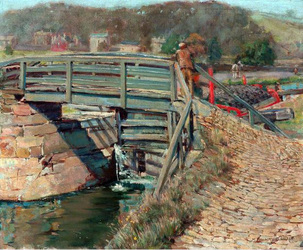 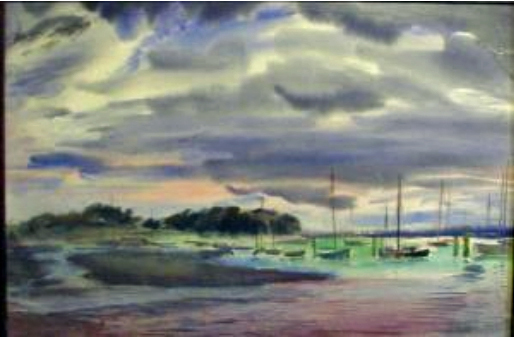 He moved to Budleigh Salterton in Devon where he continued to teach art and paint. 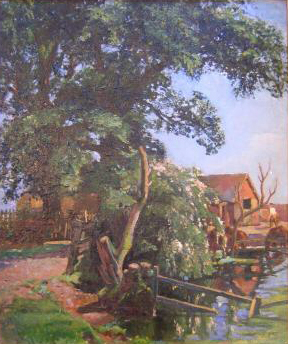 He died there in 1973. 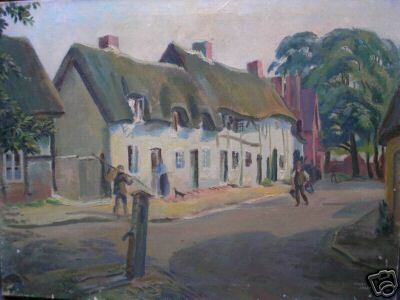 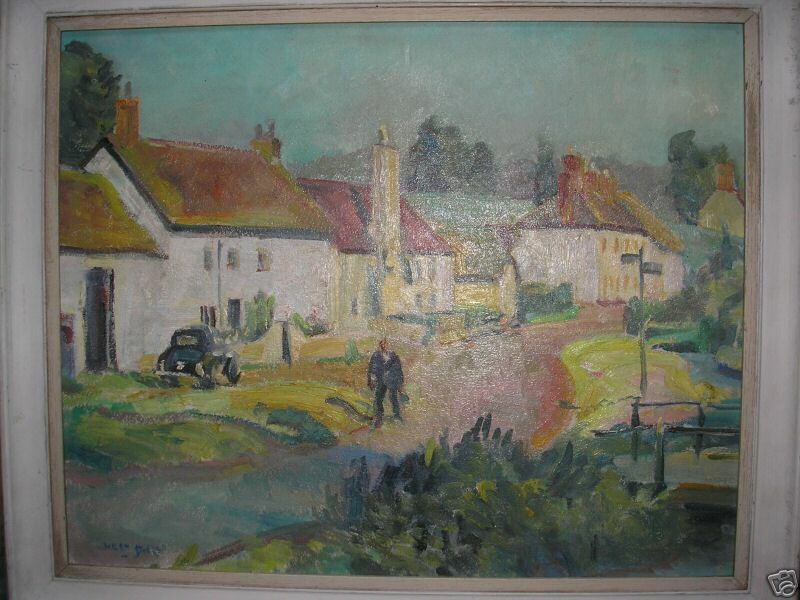 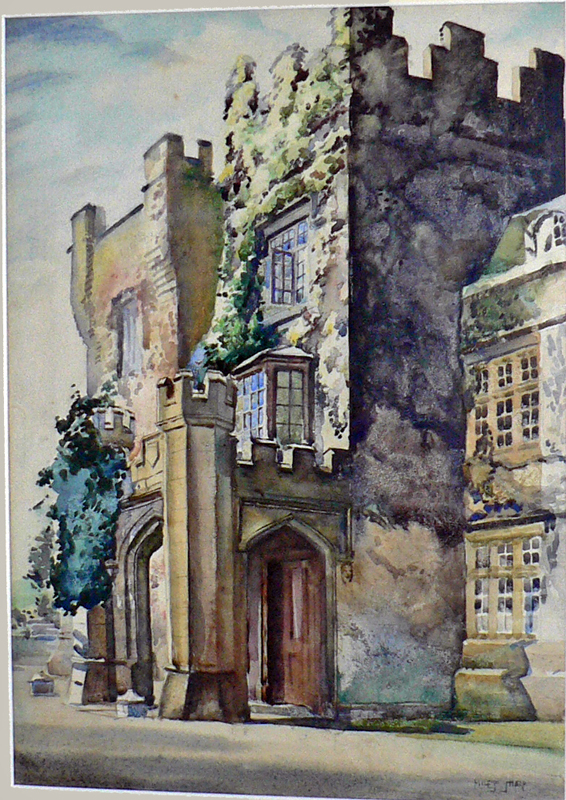 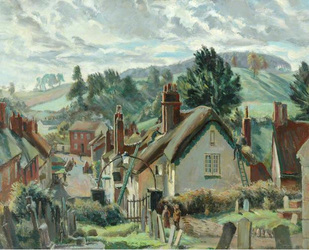 Among his local works are two watercolours of Weddington Hall (one of which is pictured above, the other below), as well as several watercolours of Coton Church, Arbury Farm, the Council House, Manor Court Road, Bramcote and the Market Place. 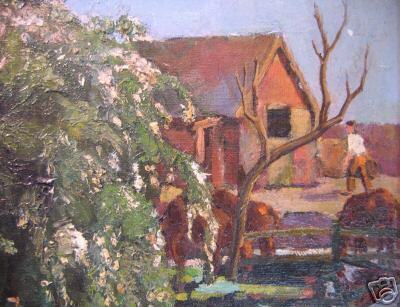 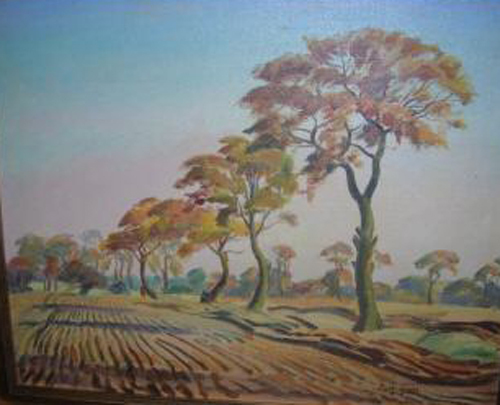 Many of these works are currently in the possession of the Nuneaton Museum and Art Gallery and are shown below. 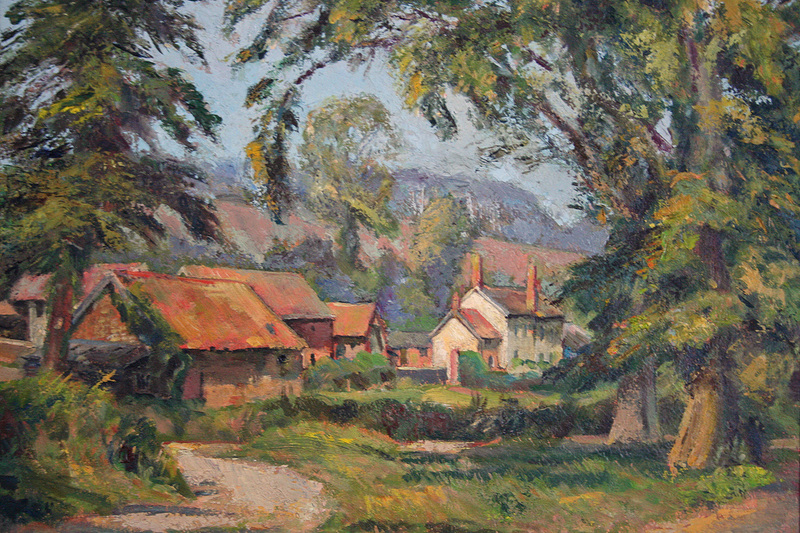 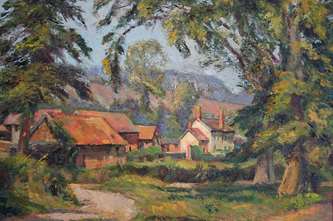 'Woodbury, Devon' Oil on board 16" x 24" signed labels verso with location and 'Exmouth Art Group'. 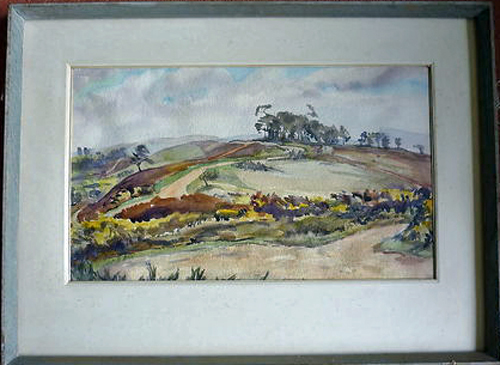 Earthworks near Woodbury Castle, Devon. 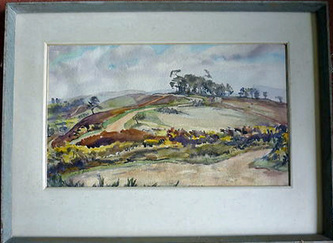 Watercolour - in frame. 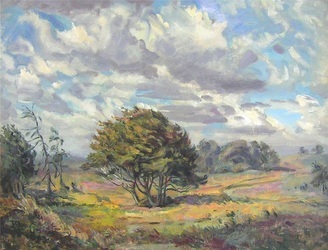 Earthworks near Woodbury Castle, Devon. Watercolour. 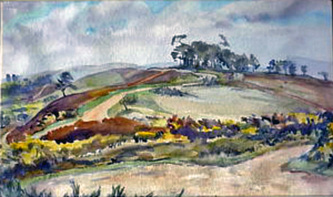 Earthworks near Woodbury Castle, Devon. 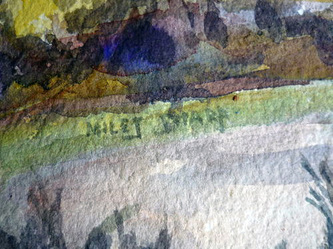 Watercolour, detail. Earthworks near Woodbury Castle, Devon. 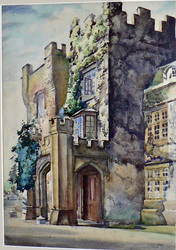 Watercolour, back note. 'A Village in the Dales' Watercolour and pencil, signed recto, titled to label verso, approx 26cm x 37cm. Unknown title. 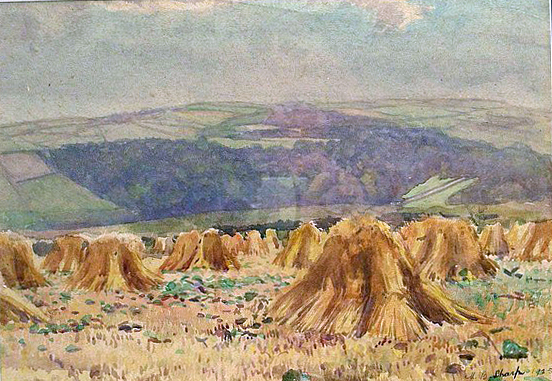 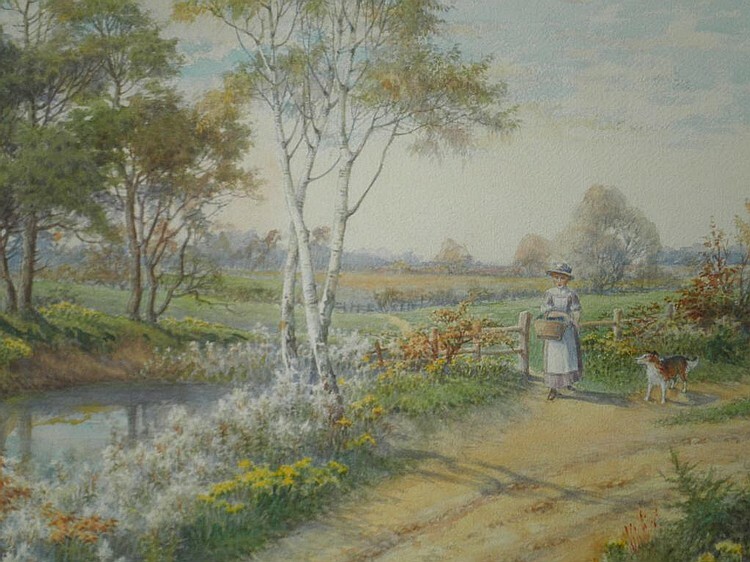 Image 1 Watercolour by the listed artist Miles Sharp dated 1912, 18"x24"
Unknown title. 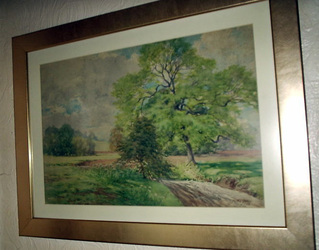 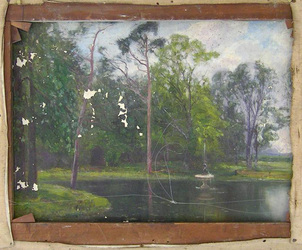 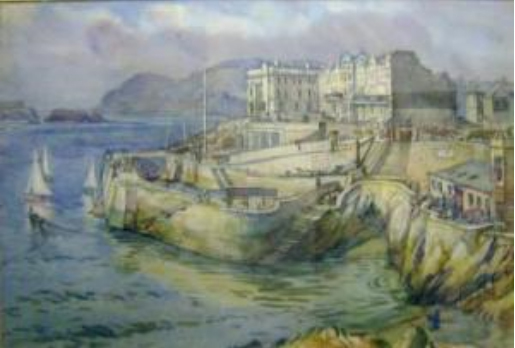 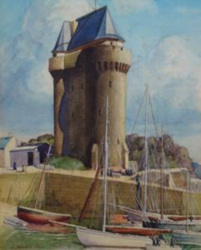 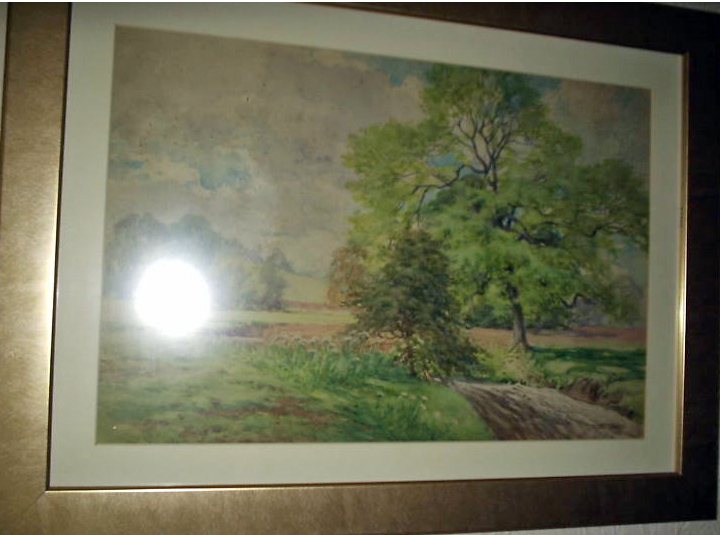 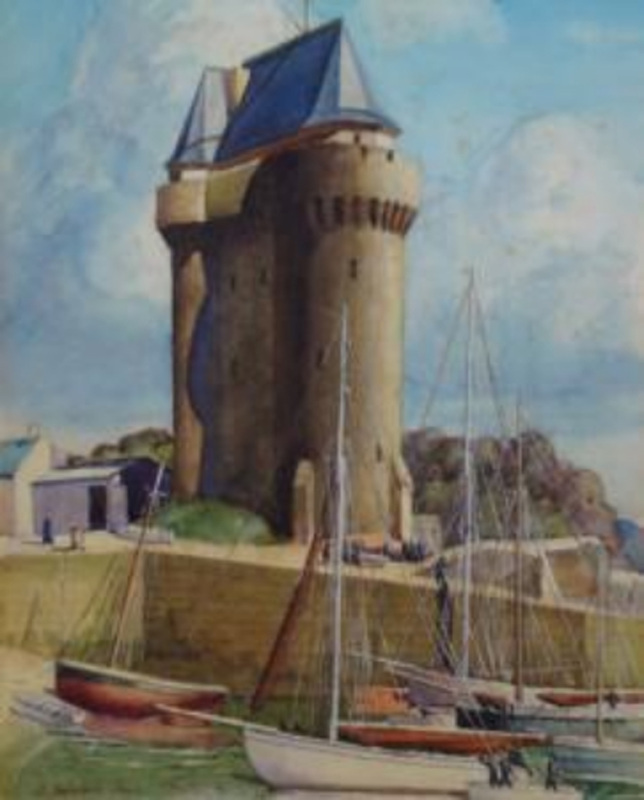 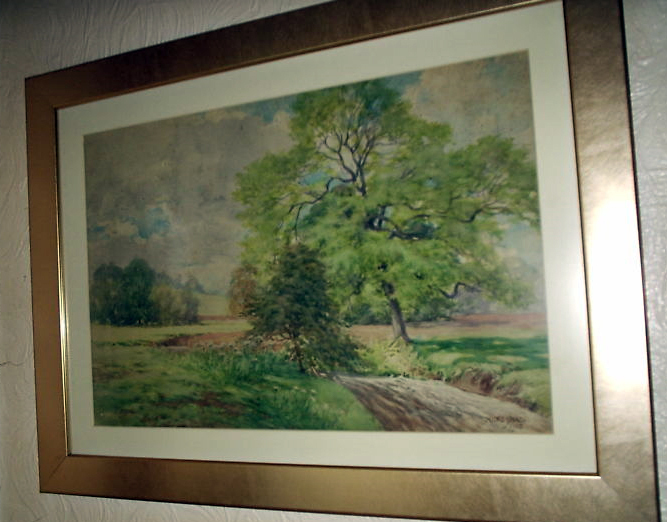 Image 2 Watercolour by the listed artist Miles Sharp dated 1912, 18"x24"